There are a number of reasons why mold starts to grow in your bathroom. The most common one is improper ventilation. A poorly ventilated bathroom will harbor excess moisture, thereby helping to create the perfect environment for mold to grow. Long, hot showers create steam, which then spreads to numerous surfaces throughout the bathroom. Other causes of mold include old grout or caulk, and the general dampness of a bathroom. 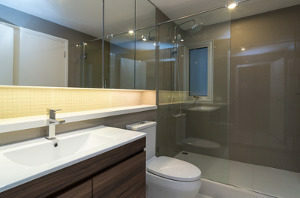 It’s difficult to truly do away with the moisture created inside a bathroom; particularly if you live in an older house. However, reducing shower time and monitoring the humidity level of your house will help. Old grout or caulk should be redone as soon as possible, because cracks compromise the seal, allowing excess moisture through. Because the shower is particularly vulnerable to mold, it is recommended that you replace the shower grout every six months. 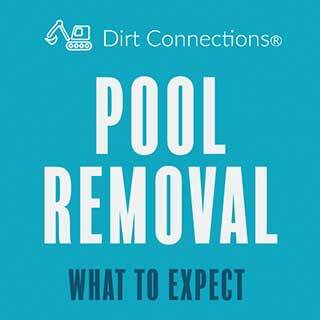 The best short-term solution for your mold problem is to remove one of the favorable conditions. Mold loves food, heat, and moisture. In a bathroom, where we take a shower and wash our hands, removing moisture is going to be close to impossible. However, using a fan to dry out the moist air will help reduce the presence of mold. Many bathrooms may have a fan built in, but if you don’t, you can try a portable fan for the time being, and think about ways of incorporating later on. Another short-term solution to your mold problem is to examine one of the other things mold loves: food. Mold isn’t fond of hamburgers, but it does love skin fragments and soap residue. As icky as it sounds, the organic matter in a bathroom makes an inviting meal for mold. For this reason, cleaning your bathroom regularly will help to keep mold at bay. Unless you’re willing to clean your bathroom seven days a week, however, it’s going to be impossible to keep every nook and cranny clean enough not to leave any residue behind. If you live in an older home, or have a serious mold issue, you might want to consider remodeling your bathroom. 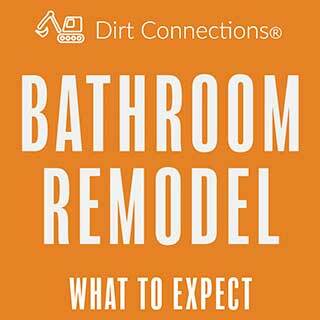 Remodeling doesn’t just remove mold; it helps to fix the imperfections in your bathroom. If you have a mold problem, chances are you have damp cabinets too. Damp cabinets, particularly if they’re wood or a wood derivative, can become completely eroded to the point where they crumble. This is not something pleasant that you want to happen. Bathroom remodeling gives you the opportunity to start from scratch, allowing you to design your bathroom from a practical point of view. Waterproofing your bathroom is beneficial for many reasons. It protects the value of your home, lowers energy costs, and ensures your home will be able to withstand harsh weather conditions. Not only this, but waterproofing your bathroom helps to create a moisture barrier between your home’s interior and potential contaminants including mold. When areas are damp and in disrepair, there is a danger of materials weakening, which can cause expensive repairs in the long run. Waterproofing your home will help to protect it from everything nature throws at it! In order to avoid flooding and water removal cost, it’s important that you address your mold issue before it starts to spread and become worse. Now that you know what to do about mold in your bathroom, it’s time to tackle the problem before it reaches crisis point.